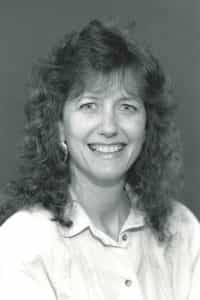 Kris Knab, former Executive Director of Legal Services of North Florida, died of complications from cancer on July 19, 2018, at her home at the age of 67. For more than 38 years, Kristine E. Knab served Florida by providing civil legal representation to domestic violence victims, children, the elderly and poverty level citizens through her work with Legal Services of North Florida (LSNF). 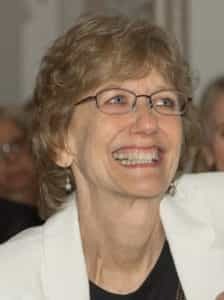 During her tenure as the Executive Director of LSNF from 1994 to 2016, she led dozens of advocates and staff in providing access to justice over a 16-county area in North Florida. Under Kris’ leadership, the agency expanded to five offices throughout the Panhandle and became one of the most respected legal services agencies in the country providing legal representation and counsel to an average of 6,000 families annually. Ms. Knab worked her entire career at LSNF and held the titles of Law Clerk, Staff Attorney, Senior Attorney, Central Office Senior Attorney and Director of Litigation throughout her 38 years with LSNF. “Kris touched so many with her passion for helping our neighbors and making our communities better and stronger. Kris dedicated her life and career to helping others and her passing is a sad day for all of us who knew her. Kris’ persistence, work ethic and deep commitment to serving and representing the poor and less fortunate is unparalleled. She will be deeply missed. Personally, and professionally, we are all better for having known her,” said Leslie Powell-Boudreaux, current Executive Director of LSNF. Ms. Knab had a long and strong history of leadership in the community, including her service as a board member for the Florida Low Income Housing Coalition, Legal Aid Foundation of Tallahassee, the Millennium Project, 2000 Census Complete Count Committee, and the Big Bend Fair Housing Center, Inc; as a member of the Florida Supreme Court Steering Committee on Families and Children in Court; and an advisory board member of the Oasis Center for Women and Girls. She also served as a member of the Serving Committee of St. Stephen Lutheran Church and a Board member and Secretary of the United Partners for Human Services. Kris was very proud of her efforts as Commissioner and Vice-Chair on the Leon County Commission on Status of Women and Girls, which created a pathway of success for women in Leon County. 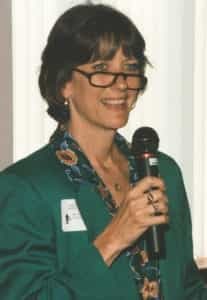 Ms. Knab was also a long-standing member of the Tallahassee Women Lawyers, American Civil Liberties Union, Florida Association of Women Lawyers, American Bar Association, and Tallahassee Bar Association. In 2001, she was honored by Tallahassee Community College with Celebrating Women of Courage and Vision Award and the Edwina Stephens Community Leader. She received the Women of Distinction Award from the Girl Scouts of the Apalachee Bend, the Trailblazer Award from the Oasis Center for Women and Girls, the Richard W. Ervin Equal Justice Award, and the Jack Mclean Champion for Legal Services Award from LSNF. In 2016, Kris was honored with the Florida Attorney General’s Award for Excellence in Public Service. The Tallahassee Bar Association awarded her with the Martha Barnett Women Lawyers of Achievement Award in 2017. Also, the FSU College of Law recently announced Kris as the inaugural recipient of its Exemplary Public Service Award. Kris has shown unprecedented commitment to LSNF and her community by spending her professional career in the quest for justice for all. Kris held a deep understanding of the struggles and challenges facing the poor and disenfranchised and always kept their needs foremost. Kris was firmly focused on her family and the needs of the community, showing a depth of leadership that was truly visionary. A true servant-leader, Ms. Knab was a remarkable woman committed to civil legal justice. Through her mentorship of other lawyers and servants of justice for nearly 40 years, Kris’ impact will be felt for many years to come as her leadership, direction and passion are passed down through her colleagues and friends. Kris received her undergraduate degree in Sociology from Florida State University in 1972 and her law degree from Florida State University in 1978. Even in her early years Kris knew the path she wanted to take and took special course work at FSU in Civil Rights and Liberties, Legal Problems of the Poor and Public Sector Labor Law. In recognition of Ms. Knab’s vision and commitment, LSNF recently established the Kris Knab Memorial Fund to implement new internship programs for law students at LSNF and provide training and support to LSNF staff attorneys so they can better serve their clients. Even at her own retirement and LSNF’s 40th Anniversary celebration, Kris focused attention away from her and toward the need to raise financial support from LSNF. The Kris Knab Memorial Fund will leave a lasting legacy for a woman who exuded passion for her work. Ms. Knab is survived her partner Doug Mann and her two lovely and successful children, Nathan and Erin Kenney; her brothers Kurt Knab (Chong Hui Knab) and Russell Knab (Joanie Knab); their many children and grandchildren; her de-facto brother, Theodore Mack; his children; and the children and grandchildren of her stepmother Margaret Bowron Knab.